Dr. Brehm is a registered dietitian, Professor in the College of Nursing, and Nutrition Coordinator in the College of Medicine at the University of Cincinnati. Over the past two decades, she has taught numerous graduate and undergraduate nutrition courses for health professions students, including dietetics, nursing, and medical students. Prior to her academic career, Dr. Brehm worked as a clinical dietitian in hospital and outpatient settings, where her interest in the treatment of obesity began. Her research focuses on weight management, particularly the effects of dietary interventions on weight, body composition, and cardiovascular risk factors in overweight and obese individuals. In particular, her clinical research studies have examined the safety and effectiveness of low carbohydrate diets, as well as Mediterranean, high monounsaturated fat diets. Dr. Brehm’s research results laid the groundwork for further studies of diets with varying macronutrient content, and provided critical information about diet recommendations for optimal health in overweight persons, particularly those with diabetes. She has presented her research at professional meetings throughout the nation and has numerous publications in peer-reviewed journals. Dr. Brehm has gained recognition for her nutrition and research expertise via local, national, and international media. Brehm, B., & Rourke, K & Cassell, C (1997). Enhancing Didactic Education Through Participation in a Clinical Research Study [Abstract]. Journal of the American Dietetic Association, 97(9), Supplement A-34. Brehm, B., & Rourke, K & Cassell, C (1998). Training Dietetics Professionals: A Multidisciplinary Team Approach in a University-Based Weight Loss Program [Abstract]. Journal of the American Dietetic Association, 98(9), Supplement A-34. Cassell, C., Rourke, K., Brehm, B., & & Hermann, T. (1998). The Effect of Body Composition Variables on Bone Mineral Density in Young Prepubertal Females [Abstract]. Journal of the American Dietetic Association, 98(9), Supplement A-52. Cicciarello, L., & Rourke, K & Brehm, B (1998). Development of a Medical Nutrition Therapy Resource Handbook in Training Medical Students [Abstract]. Journal of the American Dietetic Association, 98(9), Supplement A-41. Brehm, B., Rourke, K., & & Cassell, C. (1999). Improved Psychosocial Outcomes of Young Female Participants in a Multidisciplinary Weight Loss Program [Abstract]. Journal of the American Dietetic Association, 99(9), Supplement A-122. Brehm, B., Seeley, R., & & D'Alessio, D. (2001). Effects of a Low Carbohydrate, Ketogenic Diet on Body Weight/Composition, Blood Pressure, and Nutrition Intake [Abstract]. Diabetes, 50, Supplement, A-367. Brehm, B., Seeley, R., Daniels, S., & & D'Alessio, D. (2001). Effects of a Low Carbohydrate, Ketogenic Diet on Body Weight and Cardiovascular Risk Factors [Abstract]. Obesity Research, 9(Supplement 3), 170S. Brehm, B., Couch, S., & & Lattin, B. (2001). Innovative Learning Experience for Dietetics Students: A Honduran School-Based Feeding Program [Abstract]. Journal of the American Dietetic Association, 101(9), Supplement A-70. Brehm, B., Seeley, R., & & D'Alessio, D. (2001). Effects of a Low Carbohydrate, Ketogenic Diet on Body Weight and Cardiovascular Risk Factors [Abstract]. Journal of the American Dietetic Association, 101(9), Supplement A-84. Brehm, B., Seeley, R., Daniels, S., & & D'Alessio, D. (2002). Comparison of a Very Low-Carbohydrate Diet and a Calorie-Restricted Low-Fat Diet on Body Weight and Cardiovascular Risk Factors [Abstract]. International Journal of Obesity & Related Metabolic Disorders, 26(Supplement 1), S24. Brehm, S., Seeley, R., Andrews, L., Boback, J., Spang, S., & & D'Alessio, D. (2002). Comparison of a Very Low-Carbohydrate Diet and a Calorie-Controlled Low-Fat Diet on Nutrient Intake, Body Weight, and Cardiovascular Risk Factors [Abstract]. Journal of the American Dietetic Association, 102(9), Supplement A-9. Brehm, B., Smith, R., Breen, P., Hellmann, E., Long, L., Wall, A., & & Warren, N. (2002). An Innovative Interdisciplinary Approach to Developing Professionalism in Students [Abstract]. Journal of the American Dietetic Association, 102(9), Supplement A-61. O'Brein, K., Brehm, B., Seeley, RJ' Wener, M, Daniels, S., & & D'Alessio, D. (2002). Greater Reduction in Inflammatory Markers with a Low Carbohydrate Diet than with a Calorically-Matched, Low-Fat Diet [Abstract]. Circulation, 106(Supplement II), II-564. Warren, N., Hellman, E., Brehm, B., Smith, R., Breen, P., Long, L., & & Wall, A. (2002). An Interdisciplinary Approach to Teaching Professionalism [Abstract]. Journal of Genetic Counseling, 11(6), 534-535. Brehm, B., Spang, S., Seeley, R., Boback, J., Andrews, L., & & D'Alessio, D. (2003). Comparison of a Very Low Carbohydrate and a Calorie-Controlled Low Fat Diet on Body Weight, Energy Expenditure, and Nutrient Intake [Abstract]. Journal of the American Dietetic Association, 103(9), Supplement A-41. Brehm, B., Seeley, R., Daniels, S., Spang, S., & & D'Alessio, D. (2003). Randomized Trial of a Low-Carbohydrate Diet: Effect on Body Composition, Energy Balance, and Cardiovascular Risk Factors [Abstract]. Circulation, 108(17), Supplement IV-774. Brehm, B., Lattin, B., Spang, S., Boback, J., & & D'Alessio, D. (2005). Effects of High Monounsaturated Fat and Low Fat Diets on Body Weight, Cardiovascular Risk Factors, and Glycemis Control in Subjects with Type 2 Diabetes [Abstract]. Journal of the American Dietetic Association, 105(8), Supplement p9. Brehm, B., Lattin, B., Summer, S., Boback, J., Gilchrist, G., & & D'Alessio, D. (2006). Randomized One-Year Comparison of High Monounsaturated Fat and High Carbohydrate Diets in Subjects with Type 2 Diabetes [Abstract]. Diabetes, 55, Supplement A-381. Brehm, B., Lattin, B., Summer, S., Boback, J., Gilchrist, G., & & D'Alessio, D. (2006). Randomized Clinical Trial Comparing a High-Monounsaturated Fat Diet and a Low-Fat Diet in Overweight and Obese Subjects with Type 2 Diabetes [Abstract]. Journal of the American Dietetic Association, 106(8), Supplement A-24. Gates, D., Brehm, B., Poeppelman, A., D'Alessio, D., & Singler, M & Succop, P (2006). A High Prevalence of Obesity, Overweight, and Related Risk Factors Among Manufacturing Employees in Kentucky [Abstract]. Journal of the American Dietetic Association, 106(8), Supplement A-72. Brehm, B., Lattin, B., Summer, S., Boback, J., Gilchrist, G., & & D'Alessio, D. (2007). Randomized Clinical Trial Comparing the Effects of High Monounsaturated Fat and High Carbohydrate Diets in Overweight and Obese Subjects with Type 2 Diabetes [Abstract]. Diabetes, 56, Supplement A-17. Summer, S., Brehm, B., Benoit, S., & & D'Alessio, D. (2008). The Effects of Diet Composition and Weight Loss on Serum Adiponectin [Abstract]. Diabetes, 57(1), Supplement A103. Kirk, S., Brehm, B., Saelens, B., Kissel, E., D'Alessio, D., Bean, J., Bolling, C., & & Daniels, S. (2008). Low-Carbohydrate and Reduced-Glycemic Load Diets Compared to a Standard Portion-Controlled Diet: A Randomized Controlled Clinical Trial for Obese Children [Abstract]. Obesity, 16(1), Supplement s146-s147. Ploysangam, A., Falciglia, G., & & Brehm, B. (1997). Effect of marginal zinc deficiency on human growth and development. Journal of Tropical Pediatrics, 43(4), 192-198. Brehm, B & Steffen, J (1998). Relation between obligatory exercise and eating disorders. American Journal of Health Behavior, 22(2), 108-119. Brehm, B., Rourke, K. & Cassell, C. (1999). Enhancing didactic education through participation in a clinical research study. Journal of the American Dietetic Association, 99(9), 1090-1093. Steffen, J. & Brehm, B. (1999). The dimensions of obligatory exercise. Eating Disorders: Journal of Treatment and Prevention, 7(3), 219-226. Brehm, B., Rourke, K. & Cassell, C. (1999). Training health professionals: A multidisciplinary team approach in a university-based weight loss program. Journal of Allied Health, 28(4), 226-229. Brehm, B., Smith, R. & Rourke, K. (2001). Multiskilling: A course to develop multidisciplinary skills in future dietetics practitioners. Journal of Allied Health, 30(4), 239-242. Ackard, D., Brehm, B. & Steffen, J. (2002). Exercise and eating disorders in college-aged women: Profiling excessive exercisers. Eating Disorders: Journal of Treatment and Prevention, 10(1), 31-47. Rourke, K., Brehm, B., Cassell, C & Sethuraman, G. (2003). Effect of weight change on bone mass in female adolescents. Journal of American Dietetic Association, 103(3), 369-372. Brehm, B., Seeley, R., Daniels, S. & D&apos;Alessio, D. (2003). A randomized trial comparing a very low carbohydrate diet and a calorie-restricted low fat diet on body weight and cardiovascular risk factors in healthy women. Journal of Clinical Endocrinology & Metabolism, 88(4), 1617-1623. Brehm, B., Rourke, K., Cassell, C. & Sethuraman, G. (2003). Psychosocial outcomes of a pilot multidisciplinary program for weight management. American Journal of Health Behavior, 27(4), 348-354. Brehm, B., Spang, S., Lattin, B., Seeley, R., Daniels, S. & D&apos;Alessio, D. (2005). The role of energy expenditure of the differential weight loss in obese women on low-fat and low-carbohydrate diets. Journal of Clinical Endocrinology and Metabolism, 90(3), 1475-1482. O&apos;Brien, K., Brehm, B., Seeley, R., Bean, J., Wener, M., Daniels, S. & D&apos;Alessio, D. (2005). Diet-induced weight loss is associated with decreases in plasma serum amyloid A and C-reactive protein independent of dietary macronutrient composition in obese subjects. Journal of Clinical Endocrinology and Metabolism, 90(4), 224-2249. Nordmann, A., Nordmann, A., Briel, M., Keller, U., Yancy, W., Brehm, B. & Bucher, H. (2006). Effects of low-carbohydrate vs low-fat diets on weight loss and cardiovascular risk factors: A meta-analysis of randomized controlled trials. Archives of Internal Medicine, 166(3), 285-293. Brehm, B., Breen, P., Brown, B., Long, L., Smith, R., Wall, A. & Warren, N. (2006). An innovative interdisciplinary approach to developing professionalism in health professions students. American Journal of Pharmaceutical Education, 70(4), 81. Gates, D., Brehm, B., Hutton, S., Singler, M. & Poeppelman, A. (2006). Changing the work environment to promote wellness: A focus group study. American Association of Occupational Health Nurses Journal, 54(12), 515-520. Brehm, B., Gates, D., Singler, M., Poeppelman, A., Succop, P. & D&apos;Alessio, D. (2007). Prevalence of obesity and cardiovascular risk factors among manufacturing company employees in Kentucky. American Association of Occupational Health Nurses Journal, 55(10), 397-340. Gates, D., Succop, P., Brehm, B., Gillespie, G. & Sommers, B. (2008). Obesity & presenteeism: The impact of Body Mass Index on workplace productivity. Journal of Occupational and Environmental Medicine, 50(1), 39-45. Gray, D.L., O&apos;Brien, K.D., D&apos;Alessio, D.A., Brehm, B.J. & Deeg, M.A. (2008). Plasma glycosylphosphatidylinositol-specific phospholipase D predicts the change in insulin sensitivity in response to a low fat but not a low carbohydrate diet in obese women. Metabolism Clinical and Experimental, 57,, 473-478. Brehm, B & D&apos;Alessio, D (2008). Weight loss and metabolic benefits with diets of varying fat and carbohydrate content: separating the wheat from the chaff. Nature Clinical Practice: Endocrinology & Metabolism, 4(3), 140-146. Brehm, B & D&apos;Alessio, D (2008). Benefits of high-protein weight loss diets: Enough evidence for practice?. Current Opinion in Endocrinology, Diabetes & Obesity, 15(5), 416-421. Brown, B., Warren, N., Brehm, B., Breen, P., Bierschbach, J., Smith, R., & Wall, A & Van Loon, R (2008). The design and evaluation of an interprofessional elective course with a cultural competence component. Journal of Allied Health, 37(4), 316E-337E. Brehm, B., Lattin, B., Summer, S., Boback, J., Gilchrist, G., Jandacek, R., & & D'Alessio, D. (2009). One-year comparison of a high-monounsaturated fat diet with a high-carbohydrate diet in Type 2 diabetes. Diabetes Care, 32(2), 215-220. Gates, D. & Brehm, B. (2010). Challenges of a worksite health promotion project. American Association of Occupational Health Nurses Journal, 58(3), 117-122..
Brehm, B., Gates, D., Singler, M., Succop, P., & D'Alessio, D. (2011). Environmental changes to control obesity: A randomized controlled trial in manufacturing companies. American Journal of Health Promotion, 25(5), 334-340. Summer, S.S., Brehm, B.J., Benoit, S.C., & D'Alessio, D.A. (2011). Adiponectin changes in relation to the macronutrient composition of a weight loss diet. Obesity, 19(11), 2198-2204. Kirk, S., Brehm, B., Saelens, B., Kissel, E., D'Alessio, D., Woo, J., Bolling, C., & Daniels, S. (2012). Role of carbohydrate modification in weight management among obese children: A randomized clinical trial. Journal of Pediatrics, 161(2), 320-327. Brehm, B., & Steffen, J. (2013). Links among eating disorder characteristics, exercise patterns, and psychological attributes in college students. SAGE Open, 3(3), DOI: 10.1177/ 2158244013502985. Brown, B., Brehm, B., Dodge, H.S., Diers, T., Van Loon, R. Breen, P., Grant, V.A., & Wall, A. (2016). Evaluation of an interprofessional elective course for health professions students: Teach core competencies for interprofessional collaborative practice. Health and Interprofessional Practice, 3(1), eP1103. Brehm, B., Summer, S., Lieberman, M., Heubi, J., & Filak, A. (2016). Health status and lifestyle habits of U.S. medical students: A longitudinal study. Annals of Medical and Health Sciences Research, 6(6), 341-347. Kirk, S., Woo, J.G., Brehm, B., Daniels, S., Saelens, B.E. (2017). Changes in eating behaviors of children with obesity in response to carbohydrate-modified and portion-controlled diets. Childhood Obesity, [Epub ahead of print]. Brehm, B. (10-2002). Research: The foundation of our profession. Dispatch (Greater Cincinnati Dietetic Association Newsletter). Brehm, B. (01-2003). Dietitian surprised by benefits of low-carbohydrate diet. Medical Center Findings. Brehm, B. (03-2005). Low-carb diet deemed safe over short term. Reuters News Service. Brehm, B. (10-2006). Recommended intake of calories and macronutrients. Bearcat Body Quarterly Newsletter. Brehm, B. (05-2008). Popular diets might not be the best prescription for long-term health. UC Health Line. Brehm, B. (02-2009). Diabetics can choose their energy-restricted diets. Reuters Health Information. Acquavita, S., Brehm, B., Costanzo, A., Diers, T., Kues, J., & Pruemer, J. (2016). Interprofessional tobacco cessation project at UCMC. UC Academic Health Center Health News, Amanda Chalifoux, reporter. Brehm, B. & D'Alessio, D. (2014). Environmental factors influencing obesity. In M. Weickert(Eds. ), Obesity,. Available at www.endotext.org. 01/03/2013 Brehm, B., Seeley, R., & Southern, S. Losing weight the right way. Impact Cincinnati, WVXU (91.7 FM), Maryanne Zeleznik, reporter. 01/04/2013 Brehm, B. Healthy eating in 2013. Media Interview, WNKU (89.7 FM), Cheri Lawson, reporter. 04/23/2013 Brehm, B. Ways to cut back on sugar consumption. Media Interview, WNKU (89.7 FM), Cheri Lawson, reporter. 09/13/2013 Brehm, B. Weighing in on the Mediterranean diet. Media Interview, WNKU (89.7 FM), Cheri Lawson, reporter. Brehm, B. (1998). A multidimensional weight loss program for adolescents. Good Samaritan Hospital ,Cincinnati, OH. Brehm, B. (1998). Educational pathways and career opportunities in nutrition and dietetics. McAuley High School ,Cincinnati, OH. Brehm, B. (1998). Healthy eating for adolescents. Leadership Initiative Workshop, sponsored by College of Education, University of Cincinnati and Girl Scouts of America. Brehm, B. (1999). Obesity and women. Greater Cincinnati Dietetic Association ,Cincinnati, OH. Brehm, B. (1999). Educational pathways and career opportunities in nutrition and dietetics. Aiken High School ,Cincinnati, OH. Brehm, B. (1999). Nutrition and wellness. Ohio School Food Service Association Meeting ,Cincinnati, OH. Brehm, B. (2001). Effects of a low carbohydrate diet on anthropometric and metabolic parameters. Greater Cincinnati Dietetic Association ,Cincinnati, OH. Brehm, B. (2001). A clinical research study: Effects of a low carbohydrate diet on body weight and cardiovascular risk factors. Good Samaritan Hospital ,Cincinnati, OH. Brehm, B. (2002). Geriatric nutrition: Nutritional needs and inadequacies. Independent Retirement Seniors Group ,Cincinnati, OH. Brehm, B. & Henize, V. (2003). Estimating energy intake and energy expenditure in clinical research, topics in clinical research series. General Clinical Research Center, Cincinnati Children's Hospital Medical Center. Brehm, B. (2004). Clinical research: Low carbohydrate diets. Greater Cincinnati Health Alliance for Health Promotion ,Cincinnati, OH. Brehm, B. (2004). Low carbohydrate diets: Clinical research studies. The Christ Hospital ,Cincinnati, OH. Brehm, B. & Spang, S. (2004). Low carbohydrate diets. Topics in Clinical Research Series. General Clinical Research Center ,Cincinnati Children's Hospital Medical Center. Brehm, B. (2004). A comparison of high monounsaturated fat and high carbohydrate diets on glycemic control and cardiovascular risk factors in type 2 diabetes. Obesity Research Collaboration Workshop ,Cincinnati Children's Hospital Medical Center. Brehm, B. (2004). Weight management in America: The great diet debate. Retirement Corporation of America ,Cincinnati, OH. Brehm, B (05-2004). Should you try the Atkins diet?. Take Control of Your Diabetes National Conference ,Covington, KY.
Brehm, B (07-2004). Randomized trial of a low carbohydrate diet: Effect on body composition, cardiovascular risk factors & energy expenditure. Society of the Study of Ingestive Behavior International Meeting ,Oxford, OH. Brehm, B (08-2004). Dietary approaches to obesity in childhood & adolescence. Cincinnati Children's Hospital Medical Center Samuel Kaplan Lectureship (National Conference) ,Cincinnati, OH. Brehm, B. (09-2004). Weight management in America: The great diet debate. Annual Conference of the Greater Cincinnati Chapter of the American Association of Critical Care Nurses ,Cincinnati, OH. Brehm, B. (02-2005). Clinical research methods: Low carbohydrate diet trials. The Christ Hospital ,Cincinnati, OH. Brehm, B. (2005). Weighing diets for type 2 diabetes: A clinical research study. Greater Cincinnati Dietetic Association ,Cincinnati, OH. Brehm, B. (03-2005). Nutrition and women's health. Nutrition and Health for Underserved Rural Women Program (Supported by the Office of Women's Health, Indiana State Department of Health Grant) ,Moore's Hill, IN. Brehm, B (03-2005). The great diet debate: Low fat vs low carb diets. District Meeting of the West Virginia, Ohio, and Kentucky Dietetic Association ,Huntington, WV. Brehm, B. (06-2005). Weighing diets for type 2 diabetes: A clinical research study. Cincinnati Diabetes Support Group ,Cincinnati, OH. Brehm, B. (09-2005). Weight management in America: The great diet debate. Annual Conference of the Greater Cincinnati Chapter of the American Association of Critical Care Nurses ,Cincinnati, OH. Brehm, B (10-2005). Safety and efficacy of low carbohydrate diets: Two clinical trials. Fall Colloquium, University of Northern Illinois, School of Nursing ,DeKalb, IL. Brehm, B. & Gates, D. (12-2005). Experimental design: Clinical vs. community trials. The Christ Hospital ,Cincinnati, OH. Brehm, B. & Gates, D. (10-2006). Environmental intervention to improve workers' lifestyle habits and health. Worksite Wellness Series, Nutrition Council ,Cincinnati, OH. Brehm, B. (11-2006). Balancing your food choices: The road to health. Sigma Theta Tau Honor Society, Beta Iota Chapter ,Cincinnati, OH. Gates, D & Brehm, B (03-2007). Partnering to reduce obesity with environmental changes. Center for Occupational Health & Safety Engineering, University of Michigan ,Ann Arbor, MI. Brehm, B, Berryman, D & Williford, J. (04-2007). Research forum: Nutrition research opportunities. Ohio Dietetic Association Annual Conference ,Sandusky, OH. Brehm, B. (04-2007). A clinical study of high monounsaturated fat diets for type 2 diabetes. American Diabetes Association, Area Leadership Council meeting ,Cincinnati, OH. Brown, B., Van Loon. R., Warren, N., Wall, A., Bierschbach, J., Smith, R., Breen, R., & Brehm, B. (05-2007). Interdisciplinary education for health professions students: Measuring the impact on teamwork skills. Cincinnati Children's Hospital Medical Center Conference ,Covington, KY.
Brown, B., Wall, A., Warren, N., Smith, R., Breen, R., Bierschbach, J., Brehm, B., & Van Loon. R. (05-2007). Fostering interprofessional teamwork through an interdisciplinary course for health professions students. Cincinnati Children's Hospital Medical Center Conference ,Covington, KY.
Brehm, B (06-2007). Carbohydrate, protein, fat: Getting the proportions right. Endocrine Society Meeting ,Toronto, Ontario, Canada. Gates, D & Brehm, B (12-2007). The ethical challenges of a worksite health promotion project. Setting an Ethical Agenda for Health Promotion Conference ,Ghent, Belgium. Brehm, B. (10-2008). Healthy eating (part of an Eating Disorders Awareness event with Kirsten Haglund, Miss America). McAuley High School ,Cincinnati, OH. Brehm, B. (11-2010). Healthy lifestyle habits. Kappa Alpha Theta Sorority ,Cincinnati, OH. Brehm, B., & Summer, S. (03-2015). Thermic effect of food and endocrine responses following vertical sleeve gastrectomy in adolescence. Bionutrition Research Group ,Cincinnati Children's Hospital Medical Center, Cincinnati, OH,. Brehm, B. (04-2015). The right balance of real foods. Environmental Protection Agency ,Cincinnati, OH. Brehm, B (03-2016). Dietary guidelines for Americans 2015-2020. Environmental Protection Agency ,Cincinnati, OH. Brehm, B. (11-2016). Nutrition guidelines for cancer survivors. Basics of Cancer Survivorship: A Workshop for Healthcare Professionals, Midwest Consortium for Cancer Survivorship ,Cincinnati, OH. Brehm, B. (03-2017). Healthy eating: Dietary guidelines for Americans. Retirement Corporation of America ,Cincinnati, OH. Brehm, B; Rourke, K; & Cassell, C (10-1997). Enhancing Didactic Education Through Participation in a Clinical Research Study. Annual Meeting of the American Dietetic Association ,Boston, MA. Cassell, C; Brehm, B; & Rourke, K (05-1998). The Effect of a Six-Month Weight Loss Intervention Program on Bone Mass within a Group of Obese Adolescent Females. Annual Meeting of the Ohio Dietetic Association ,Cincinnati, OH. Holtman, S; Brehm, B; Rourke, K; & Cassell, C (05-1998). Development of a Nutrition and Behavior Modification Program for Families of Obese Adolescent Females. Annual Meeting of the Ohio Dietetic Association ,Cincinnati, OH. Cassell, C; Brehm, B; & Rourke, K (06-1998). The Effect of Differences in Physical Activity on Bone Mass Among Overweight Preadolescent Females. Annual Meeting of the American College of Sports Medicine ,Orlando, FL. Brehm, B; Rourke, K; & Cassell, C (10-1998). Training Dietetics Professionals: A Multidisciplinary Team Approach in an University-Based Weight Loss Program. Annual Meeting of the American Dietetic Association ,Kansas City, Kansas. Cassell, C; Rourke, K; Brehm, B; & Hermann, T (10-1998). The Effect of Body Composition Variables on Bone Mineral Density in Young Prepubertal Females. Annual Meeting of the American Dietetic Association ,Kansas City, Kansas. Cicciarello, L; Rourke, K; & Brehm, B (10-1998). Development of a Medical Nutrition Therapy Resource Handbook in Training Medical Students. Annual Meeting of the American Dietetic Association ,Kansas City, Kansas. Brehm, B; Rourke, K & Cassell, C (10-1999). Improved Psychosocial Outcomes of Young Female Participants in a Multidisciplinary Weight Loss Program. Annual Meeting of the American Dietetic Association ,Atlanta, GA.
Brehm, B; Rourke, K; & Smith, R (04-2000). Multitasking: A Course to Develop Multidisciplinary Skills in Future Dietetic Practitioners. Annual Meeting of the Ohio Dietetic Association ,Columbus, OH. Brehm, B; Pettigrew, A; & Dunn, S (04-2001). Integrative Therapies for Health Sciences: A Course to Increase Awareness and Knowledge of Nontraditional Treatment Modalities. Annual Meeting of the Ohio Dietetic Association ,Akron, OH. Brehm, B; Seeley, R; & D'Alessio, D (06-2001). Effects of a Low Carbohydrate, Ketogenic Diet on Body Weight/Composition, Blood Pressure, and Nutrient Intake. Annual Meeting of the American Diabetes Association ,Philadelphia, PA.
Brehm, B; Seeley, R; Daniels, S; & D'Alessio, D (10-2001). Effects of a Low Carbohydrate, Ketogenic Diet on Body Weight and Cardiovascular Risk Factors. Annual Meeting of the North American Association for the Study of Obesity ,Quebec City, Quebec, Canada. Brehm, B; Couch, S; & Lattin, B (10-2001). Innovative Learning Experience for Dietetics Students: A Honduran School-Based Feeding Program. Annual Meeting of the American Dietetic Association ,St Louis, MO. Brehm, B; Seeley, R; & D'Alessio, D (10-2001). Effects of a Low Carbohydrate, Ketogenic Diet on Body Weight and Cardiovascular Risk Factors. Annual Meeting of the American Dietetic Association ,St Louis, MO. Brehm, B; Smith, R; Breen, P; Hellman, E; Long, L; Wall, A; & Warren, N (04-2002). An Innovative Interdisciplinary Approach to Teaching Professionalism. Annual Meeting of the Ohio Dietetic Association ,Cincinnati, OH. Brehm, B; Seeley, R; Daniels, S; & D'Alessio, D (08-2002). Comparison of a Very Low-Carbohydrate Diet and a Calorie-Restricted Low-Fat Diet on Body Weight and Cardiovascular Risk Factors. Annual Meeting of the International Congress on Obesity ,Sao Paulo, Brazil. Brehm, B; Smith, R; Breen, P; Hellman, E; Long, L; Wall, A; & Warren, N (10-2002). An Innovative Interdisciplinary Approach to Developing Professionalism in Students. Annual Meeting of the American Dietetic Association ,Philadelphia, PA.
O'Brien, KD; Brehm, BJ; Seeley, RJ; Wener, M; Daniels, S; & D'Alessio, D (11-2002). Greater Reduction in Inflammatory Markers with a Low Carbohydrate Diet than with a Calorically-Matched, Low Fat Diet. Annual Meeting of the American Heart Association ,Chicago, IL. Warren, N; Hellman, E; Brehm, B; Smith, R; Breen, P; Long, L; & Wall, A (11-2002). An Interdisciplinary Approach to Teaching Professionalism. Annual Meeting of the National Society of Genetic Counselors ,Phoenix, AZ. Wall, A; Brehm, B; Smith, R; Breen, P; Long, L; & Warren, N (07-2003). An Innovative Interdisciplinary Approach to Teaching Professionalism. Annual Meeting of the American Association of Colleges of Pharmacy ,Minneapolis, MN. Wilson, B; Brehm, B; Pollock, L; & Wagner, D (07-2003). The Nutritional Intake of Female Collegiate Soccer Players. Annual Meeting of the National Strength and Conditioning Association ,Indianapolis, IN. Brehm, B; Spang, S; Seeley, R; Boback, J; Andrews, L; & D'Alessio, D (10-2003). Comparison of a Very Low Carbohydrate and a Calorie-Controlled Low Fat Diet on Body Weight, Energy Expenditure, and Nutrient Intake. Annual Meeting of the American Dietetic Association ,San Antonio, TX. Long, L & Brehm, B (11-2003). An Innovative Interdisciplinary Approach to Developing Professionalism in Students. AACN's Baccalaureate Education Conference ,San Antonio, TX. Brehm, B; Lattin, B; Summer, S; Boback, J; Gilchrist, G; & D'Alessio, D (06-2006). Randomized One-Year Comparison of High Monounsaturated Fat and High Carbohydrate Diets in Subjects with Type 2 Diabetes. Annual Meeting of the American Diabetes Association ,Washington, DC. Brehm, B; Lattin, B; Summer, S; Boback, J; Gilchrist, G; & D'Alessio, D (09-2006). Randomized Clinical Trial Comparing a High-Monounsaturated Fat Diet and a Low-Fat Diet in Overweight and Obese Subjects with Type 2 Diabetes. Annual Meeting of the American Dietetic Association ,Honolulu, HI. Gates, D; Brehm, B; Poeppelman, A; D'Alessio, D; Singler, M; & Succop, P (09-2006). A High Prevalence of Obesity, Overweight, and Related Risk Factors Among Manufacturing Employees in Kentucky. Annual Meeting of the American Dietetic Association ,Honolulu, HI. Brehm, B; Gates, D; Singler, M; Poeppelman, A; Succop, P & D'Alessio, D (03-2007). Prevalence of Obesity and Related Risk Factors in Manufacturing Workers. Art and Science of Health Promotion Conference ,San Francisco, CA. Gates, D; Brehm, B; & Ohlinger, C (03-2007). Changing the Food Environment at Worksites. Art and Science of Health Promotion Conference ,San Francisco, CA. Gillespie, G; Gates, D; Brehm, B; & Succop, P (03-2007). The Impact of BMI on Absenteeism and Productivity. Art and Science of Health Promotion Conference ,San Francisco, CA. Singler, M; Gates, D; Brehm,B; & Gillespie, G (07-2007). Kentucky Workers More Obese than General Kentucky Population. Annual Conference of the National Association of County and City Health Officials ,Columbus, OH. Brehm, B; Gates, D; & Gillespie, G (09-2007). Partnering to Reduce Obesity with Environmental Changes. Worklife Symposium of the National Institute for Occupational Safety & Health ,Washington, DC. Kirk, S; Brehm, B; Saelens, B; Kissel, E; D'Alessio, D; Bean, J; & Daniels, S (10-2008). Low-Carbohydrate and Reduced-Glycemic Load Diets Compared to a Standard Portion-Controlled Diet: A Randomized Controlled Clinical Trial for Obese Children. Annual Meeting of the Obesity Society ,Phoenix, AZ. Breen P, NS Warren, Brown B, Buring S, Wall A, et al. (11-2008). Teaching Undergraduate and Graduate Students about Interdisciplinary Health Care and Cultural Competence. Annual Meeting of the American Speech, Language, & Hearing Association ,Chicago, IL. Harper, J; Brehm, B; Whitmer, K; & Succop, P (05-2009). Using Admission Body Mass Index to Predict Resting Energy Expenditure in Seriously Injured Patients. Annual Trauma Symposium ,Atlantic City, NJ. Harper, J., Brehm, B., Whitmer, K., & Succop, P. (10-2009). Bias and Precision of Five Equations Used to Estimate Resting Energy Expenditure in Multiple Trauma Patients. Annual Meeting of the American Association of Surgery for Trauma ,Pittsburgh, PA.
Miller, E., Wilson, B., Bernard, A., & Brehm, B. (02-2010). Differences in Exercise, BMI, and Psychosocial Variables in College Females. American Academy of Health Behavior ,Clearwater Beach, FL. Brehm, B., Kirk, S., Saelens, B., Woo, J., Kissel, E., D'Alessio, D., Bolling, C., & Daniels, S. (03-2011). Randomized clinical trial comparing the effects of low-carbohydrate, reduced-glycemic load, and standard portion-controlled diets in obese children. Oxford Round Table ,Oxford University, England. Kirk, S., Woo, J., Brehm, B., & Saelens, B. (09-2012). Effect of carbohydrate-modified diets on parent-reported eating behaviors of obese children. Obesity Society Annual Meeting ,San Antonio, TX. Jindal M.S., McCormack, J., Acquavita, S., Brehm, B., Costanzo, A., Kues, J., Pruemer, J., Speer, B., & Diers, T. (10-2016). Tobacco cessation support with interprofessional collaboration at the point of care. Accepted for presentation at the American College of Physicians Scientific Meeting ,Columbus, OH. Brehm, B., Summer, S., Jenkins, T., D'Alessio, D., & Inge, T. (10-2016). Thermic effect of food and endocrine responses following vertical sleeve gastrectomy in adolescence. Presented at The Obesity Society Annual Meeting ,New Orleans, LA. Brehm, B., Summer, S., Jenkin, T., D'Alessio, D., & Inge, T. (10-2016). Thermic effect of food and endocrine responses following vertical sleeve gastrectomy in adolescence. The Obesity Society Annual Meeting ,New Orleans, LA. Summer, S., Brehm, B., Jenkins, T., D'Alessio, D., & Inge, T. (03-2017). Thermic effect of food and endocrine responses following vertical sleeve gastrectomy in adolescence. CCHMC Nutrition Research Day ,Cincinnati Children's Hospital Medical Center, Cincinnati, OH. Summer, S., Brehm, B., Jenkins, T., D'Alessio, D., & Inge, T. (05-2017). Thermic effect of food and endocrine responses following vertical sleeve gastrectomy in adolescence. Ohio Academy of Nutrition and Dietetics Annual Conference ,Cleveland, OH. Kirk, S; Brehm, B; Saelens, B; Kissel, E; D'Alessio, D; Woo, J; Bolling, C; & Daniels, S (05-2009). Comparison of Low-Carbohydrate, Reduced-Glycemic Load, and Standard Portion-Controlled Diets for Change in BMI and Other Health Outcomes Among Obese Children: A Randomized Clinical Trial. Annual Meeting of the Pediatric Academic Societies ,Baltimore, MD. Summer, S; Brehm, B; Benoit, S; & D'Alessio, D (06-2008). The Effects of Diet Composition and Weight Loss on Serum Adiponectin. Annual Meeting of the American Diabetes Association ,San Francisco, CA. Brehm, B; Lattin, B; Summer, S; Boback, J; Gilchrist, G; & D'Alessio, D (06-2007). Randomized Clinical Trial Comparing the Effects of High Monounsaturated Fat and High Carbohydrate Diets in Overweight and Obese Subjects with Type 2 Diabetes. Annual Meeting of the American Diabetes Association ,Chicago, IL. Gates, D; Brehm, B; D'Alessio, D; Singler, M; & Succop, P (04-2006). Partnering to Reduce Obesity with Environmental Changes. Health Protection Research Initiative Grantee Meeting ,Atlanta, GA.
Brehm, B; Lattin, B; Spang, S; Boback, J; & D'Alessio, D (10-2005). Effects of High Monounsaturated Fat and Low Fat Diets on Body Weight, Cardiovascular Risk Factors, and Glycemic Control in Subjects with Type 2 Diabetes. Annual Meeting of the American Dietetic Association ,St Louis, MO. Brehm, B; Seeley, R; Daniels, S; Spang, S; & D'Alessio, D (11-2003). Randomized Trial of a Low-Carbohydrate Diet: Effect on Body Composition, Energy Balance, and Cardiovascular Risk Factors. Annual Meeting of the American Heart Association ,Orlando, FL. Brehm, B; Seeley, R; Andrews, L; Boback, J; Spang, S; & D'Alessio, D (10-2002). Comparison of a Very Low-Carbohydrate Diet and a Calorie-Controlled Low-Fat Diet on Nutrient Intake, Body Weight, and Cardiovascular Risk Factors. Annual Meeting of the American Dietetic Association ,Philadelphia, PA.
Brehm, B; Gates, D & Gillespie, G (12-2007). Partnering to Reduce Obesity with Environmental Changes. Worklife Symposium of the National Institute for Occupational Safety & Health ,Washington, DC. Gillespie, G. 2005 (Committee member), College of Nursing, University of Cincinnati: The relationship of dental health to physical health and nutrition in homeless men (Master's thesis). 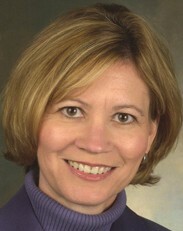 Center for Health-Related Programs, Structure and Governance Committee, Chair. Center for Health-Related Programs, Academic Policies Committee, Chair. Center for Health-Related Programs, RPT Criteria Committee, Member. University Research Grants Advisory Committee, Member. College of Nursing, Health Behavior Change Research Interest Group, Champion (chair). Cincinnati Diabetes and Obesity Education/Outreach/Policy Committee, Associate Director. University Graduate Faculty Status Committee, College of Nursing Member.